This is a copy of the English-language original version of the Prologue to the Chinese edition of my book Sociology of Law, 法社会学讲义:学术脉络与理论体系 (平装), Peking University Press, 2010. The Chinese version of this prologue is available in pdf format. Please cite as: Deflem, Mathieu. 2010. Prologue to the Chinese edition of Sociology of Law (English-language version). Available online via www.mathieudeflem.net. I am very pleased that this book written for students and scholars of the sociology of law is now available in Chinese. Although English has de facto become something of a world language, especially in the academic world, it remains important to have our ideas be as much as possible accessible, especially with respect to the language in which they are phrased, in order to be as much as possible debatable. I therefore owe a special debt to the translators of this volume for having undertaken their valuable work on behalf of the readership in China. In order to clarify some of the lessons I hope can be learned from my book for the Chinese readers, I wish to explain a few elements of the process of how this book originally came about and what some of its central target objectives are. No book is written as an intellectual effort alone, as it is imbedded in the totality of the context of the author’s work. On the occasion of a translation, which also involves a journey of the book towards a new and different social context, it makes good sense to clarify the circumstances in which the work was initially conceived. Additionally, I will reflect and speculate on the relevance this work may have, in some small fashion, for the sociological study of law in China. The writing of this book has a rather specific and peculiar background, both in terms of the manner in which the ideas are presented as well as with respect to the substance of these ideas. As to the form of this book, it is probably most important to emphasize what this book is not. This book is not written as a student textbook. I am not aware if this aspect of book publishing also exists in China, but in the United States and, to a somewhat lesser extent, in the United Kingdom and Europe, there exists a sort of literature that produces books explicitly oriented at teaching in the context of university education, especially at the undergraduate level. It has become a central characteristic of these textbooks that they are written in a style that is purported to be more easily accessible to students who are not (yet) well versed in academic work and who, more often than not, cannot be expected to be very interested in the materials they are presented with over the course of their college education. On the part of the authors, the writing of textbooks brings with it virtually no academic prestige, but this price is offset by the financial rewards that can be gained as the number of students taking university courses, and thus the number of books that can be sold, far exceeds the number of professional scholars interested in relevant subject matters. When I set out to write this book, I found it very important that the specialty field of the sociology of law was not to be presented in the form of a textbook for a number of reasons. Primarily, there is no need for a textbook in the sociology of law because the teaching of this sociological specialty area is typically not conducted during the first years of university education, but is instead taught at the higher levels of instruction, involving advanced undergraduate students as well as graduate students preparing for masters and doctoral degrees. I therefore thought it to be appropriate and just to prepare a volume that reflects the very best of what the academic specialty of the sociology of law has to offer in a manner that may be intellectually challenging but should be stimulating as well. At the same time, as I further explain in the book’s original Preface, this book can surely be used in a fruitful way in the course of university education, providing that it is introduced by the instructor in a manner that is expressly geared towards learning on the part of the students. As such, I hope that the book can be as valuable for students as for professional scholars. Formulated in positive terms, what this book most essentially seeks to do, is make the case for the sociology of law as a valid enterprise in the broader academic discipline of sociology. Throughout its development, the sociology of law has been engaged in a double fight. On the one hand, it has had to defend itself relative to legal scholarship, that is, the scholarship about law that is developed internally from within law. On the other hand, the sociology of law also has had to engage in seeking to stake its claim within sociology at large. It is this dual problem that inspired the objective of this book to write an overview of the sociology of law as a unique sociological specialty field. Not only did the sociology of law not yet have such an overview in the form of a book, it also needs and deserves such a comprehensive treatise. Although I must leave it up to the readers to judge whether or not I have presented such a work successfully, I have written this book not only to fill a void, but essentially in order to a present a vision of the sociology of law as a uniquely and distinctly sociological specialty. Having elucidated the central objectives of the book in terms of its aspired understanding on the part of the readers, a few words are in order to clarify the contents of the book. In essence, this work presents a history and systematics of the sociology of law. The phrase ‘history and systematics’ is taken from Robert K. Merton (1968) to denote the difference between the historical process of the evolution of theories, on the one hand, and the value, validity, and use of those theories, on the other. For Merton, it is important that these two enterprises of scientific activity be kept apart and that they are not conflated, especially in such a way, as Merton observed to be happening all too often, that the history of theory is understood as an exercise in its systematics. I am generally sympathetic to Merton’s ideas, but I also find it important to analyze the historical evolution of ideas, such as those of the specialty field of the sociology of law, in connection with their systematic value in terms of an adequate sociological understanding. In order to achieve this dual aim, the book is presented in four parts, the first two of which are presentations of the sociology of law’s central theoretical ideas, and the latter two of which are organized around important empirical themes. Denoting the relationship between the sociology of law’s history and its systematics, the first two theoretical parts also comprise substantive reflections on the role of law in society, while the latter two empirical parts also contain many theoretical reflections, particularly on the value of earlier introduced theories and in terms of more recent theoretical innovations. The book’s first two parts follow a more or less historical path to explain the birth and evolution of sociological thinking on law. I found it important to introduce the origins of the sociology of law in the context of pre-sociological schools of historically informed social philosophies of law, such as the writings of Henry Maine and Karl Marx, in order to explain the differences with a veritable sociology of law as well as to describe the intellectual roots thereof. The subsequent presentations of the sociologies of law of Emile Durkheim and Max Weber need no further justification for there is no sociology (of law) that is not indebted to these classics. In view of the underlying aim of this book to present the sociology of law as a specialty field in the broader discipline of sociology (see further the Introduction of this book), however, I found it important that Durkheim’s and Weber’s ideas on the place and role of law in society were introduced in the context of the totality of their respective sociological writings. In terms of my presentation of the theoretical development of the modern sociology of law, my work takes on two very critical turns in Part II. In these chapters I explain, first of all, that there are legal as well as sociological roots to the modern sociology of law and, second, that the work of Talcott Parsons takes up a central position in the formation of the sociology of law as a specialty area. The first point is important to be made, because it remains true until this very day that the sociology of law faces difficulties in being accepted as a valid intellectual enterprises next to, and different from, sociologically oriented perspectives in legal scholarship. The demarcation between sociological and legal scholarship runs throughout the various chapters of the book. The position I defend on the centrality of Parsons, likewise, is significant because it is all too often overlooked in contemporary sociology (of law), especially in the United States, that the work of Talcott Parsons is the single most significant development in the transition from classical to modern sociology. This statement is not a matter of opinion, but simply a statement of fact considering the history of sociology as it unfolded throughout the twentieth century. The reasons for the expulsion of Parsons from the history of sociology relate to the criticisms that were leveled against his writings in terms of their value for the systematics of sociological theory. It is not primarily relevant in the context of this book that many of these criticisms were unfounded when they were first formulated and, additionally, that they are often not understood by those who today do not even know Parsons’ work. What is, in my mind, most important is to recognize and analyze the centrality of Parsonian sociology in the development of sociology irrespective of, or at least separate from, its intrinsic strengths and limitations. Turning to the thematic chapters of this book, the readers will note that I relied on aspects of the work of Parsons to examine the place and role of law within the broader setting of the structures and processes of other societal institutions. Specifically, I relied on Parsons’ identification of the social functions of adaptation, goal attainment, integration, and latency to analyze the legal system in its relation to economy, politics, social integration, and culture. However, this reliance on the Parsonian functionalist scheme is based exclusively on its analytical value in laying bare a number of important questions and a variety of theoretical approaches on the multiple dimensions of the place and role of law in society. In this way, the sociological eye can view more, rather than less, by unraveling the connections that exist between law and other important components of society. Additional, special problems of law are discussed in the final two chapters of the book with respect to the enforcement and the globalization of law. For each chapter of the identified thematic issues, the reader will note, I introduce not only relevant theoretical perspectives from recent developments in the contemporary sociology of law, but I also rely on empirical research to illustrate the value of taking on a sociological approach to the study of law. Of course, these illustrations offer some insights into the concrete workings of law in the setting of the specific socio-historical conditions of societies. Because of my own intellectual limitations, especially in linguistic respects, these research examples are primarily taken from work conducted in Northern America and Europe. 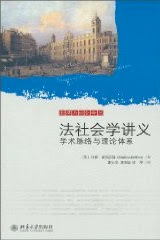 In this sense, I believe, this Chinese translation has a most valuable role to play in expanding the reach of the book by having the readers who engage in scholarly work on the sociology of law in China complement their works to the analyses presented in the book to see where and how they show similarities and differences both in terms of theoretical approach as well as with respect to empirical findings. Although I am by no means an expert on sociology (of law) in China or on the place and role of law in Chinese society, in the following pages I will, on the basis of available literature, offer some thoughts and speculations on law and sociology of law in China. In the Index to the original English-language edition of this book, there were only two references included to ‘Chinese law’, both concerning Max Weber’s interpretation of Chinese law during the Ch’ing dynasty (1644-1912). In his discussion of the differences between substantively and formally rational and irrational legal systems, Weber (1922) argued that traditional Chinese law was substantively irrational because legal officials in traditional China could decide freely from case to case without strict adherence to any general extra-legal norms. As explained in the book, Weber’s position has been critically received by sociologist Robert Marsh (2000), who argues that the decision-making powers of Chinese legal officials were substantively rational because they were bound by written Ch’ing codes which were rooted in Confucianist values. Whether Weber’s original interpretation of Chinese law is empirically accurate or whether it should be revised, it is striking that the sociology of law has an important comparative-historical dimension built into its very foundations. Similarly, indeed, as a counterpart to Weber’s rationalization thesis, Durkheim suggested important transformation of law in relation to changes in the wider social structure, especially a society’s value system. Since the classics, many important sociological insights have been derived in terms of the observed changes over time and differences across space that mark legal systems and their respective societies. In consequence of the academic gaze on occasion transcending the here and now of contemporary legal systems, there has also been some attention to China’s legal system in the modern sociology that has developed in the West. Generally, the attention towards law in China has undergone an upswing since the many changes that have taken place in the Chinese legal system following the country’s economic modernization from the late 1970s onwards (see The Asia Foundation; Diamant, Lubman, and O’Brien 2005; Lubman 1999). Among the most noteworthy changes have been the attempts of legal reformers to develop an administrative legal system and drive out arbitrariness in legal decision-making by specifying the contours and methods of the implementation of legislation. The enactment of new legal provisions, such as the State Compensation Law (1994) and the Administrative Punishment Law (1996), have provided Chinese citizens with new legally guaranteed rights to undertake legal action against decisions by administrative agencies. As another example of the expansion of rights by law, the Lawyer’s Law (1996) was enacted to ensure that poor citizens could obtain legal services for free or at a reduced rate. China’s legal reforms have not escaped the attention of sociologists of law in the Western world. In the United States, for instance, sociologist Ethan Michelson has done much empirical research on the state and development of modern Chinese law (Michelson 2006, 2007, 2008, 2009). In general, Michelson has found that the advances that have undeniably been made in the contemporary Chinese legal system have been accompanied by a persistence of certain inequalities. For instance, legal grievances that might reflect negatively on the state and interfere with state interests were found to be more difficult to receive legal redress than those that involved private citizens. Furthermore, women were found to be at a disadvantage in China’s growing legal profession, mirroring gender inequalities in Chinese society at large. Legal professionals in general also do not always represent the best interests of their clients, but instead remain imbedded in a political structure and are still lacking in professional autonomy. It is to be noted that these ironic observations on the legal profession have also been made in many societies in the Western world (see Chapter 9 of the book). The changes that have been affecting China’s legal system in recent decades, in my mind, provide a very fertile and absolutely fascinating field for Chinese sociologists to take advantage of through renewed theoretical and empirical analysis. The momentous changes that are affecting China today may well prove to be as exciting to the sociological mind as were the important societal changes that were taking place in European society at the dawn of the twentieth century, which then provided the fertile ground for the development of the new science of sociology. Although in the Conclusion of my book I discuss certain trends in the development of the sociology of law across national cultures, I did not address in any detail the case of the Chinese sociology of law. As suggested in the analysis of Ji Wei-Dong (1989), sociology of law in China is a recent development after Chinese sociology, which was very well developed until World War II (Freedman 1962), had been abolished from 1949 onwards. After the re-instatement of sociology in China in 1979, the beginning of the Chinese sociology of law, at least in an institutionalized sense, can be set in 1987, when a conference organized at Peking University led to the development of a Plan for Exchange and Research in Legal Sociology (PERLS). Testifying to the continued development of the Chinese sociology of law over the past few decades, the sociology programs of several universities in China now have developed an interest in the specialty field. At Jilin University, for instance, an institutionalized sociology of law developed from the 1985 onwards when a research project called ‘The Sociology of Law’ was initiated, leading to a publication on this new field in 1991 (see Center for Jurisprudence Research of Jilin University website). Jilin University has trained sociologists of law since the late 1980s and has a doctoral program since 1999. Professors Ma Xinfu, Yao Jianzong, and others have lead the way by writing important monographs and articles. As another example, the Research Institute of the Law of Sociology of Renmin University was the first institute of sociology of law to be established in a sociology department in China (see The School of Sociology and Population Studies website). The Research Institute has devoted much attention to applying sociological theories and methods to the study of the function and consequences of law in Chinese society. At Renmin, the work of Professor Guo Xinghua has clearly paved the way towards an indigenous Chinese sociology of law (Xinghua 2008-09). To mention one more case, at the East China University of Political Science and Law, an Institute of Sociology of Law was established in 2003, also as part of the University’s Sociology Department (see East China University of Political Science and Law website). Much like the development of sociology of law in other parts of the world, however, there are indications that Chinese sociology of law also has a special relationship with the legal sciences and that at times the specialty of the sociology of law is developed in law schools rather than in sociology departments. At Peking University, for example, sociology of law is presented as one of the specialties in the broader field of legal theory, which is one of the areas of research at the law school (see Peking University website). In conclusion, from my limited knowledge of the state and development of the sociology of law in China, I would venture to speculate that the conditions are right for the Chinese sociology of law to establish itself as a rich and exciting specialty field. The legal reforms that are presently affecting Chinese society will greatly contribute to push the development of the sociology of law forward. To aid in this intellectual development, Chinese sociologists of law can learn from the sociology of law traditions that have already evolved elsewhere in the world. In this respect, I hope that the translation of this book and related works, such as the volume I edited on Habermas and law (Deflem 1996), can serve a beneficial function. However, I would also encourage my Chinese colleagues to not only borrow from writings developed outside of China and to not let the analysis of China’s legal system fall entirely in the hands of non-Chinese scholars. Instead, it would be becoming for the proliferation of Chinese sociology to develop a uniquely Chinese tradition of the sociology of law, which is developed by contemporary Chinese sociologists of law and which, additionally, could also recapture some of the insights from the Chinese sociology of law that was already developed during the era before 1949. In any case, how a distinctly Chinese sociology of law will continue to evolve in the coming years is a fascinating question from the viewpoint of my book. The Asia Foundation. “Legal Reform in China.” Available online: http://asiafoundation.org/pdf/china.legalreform.pdf. Center for Jurisprudence Research of Jilin University. “Sociology of Law.” Available online: http://www.legaltheory.com.cn/english/S_td_04.htm. Diamant, Neil J., Stanley B. Lubman, and Kevin J. O’Brien, editors. 2005. Engaging the Law in China: State, Society, and Possibilities for Justice. Stanford, CA: Stanford University Press. East China University of Political Science and Law. “Sociology Department.” Available online: http://www.ecupl.edu.cn/en/school/Sociology_Department.htm. Freedman, Maurice. 1962. “Sociology In and Of China.” British Journal of Sociology 13(2): 106—116. Lubman, Stanley B. 1999. Bird in a Cage: Legal Reform in China after Mao. Stanford, CA: Stanford University Press. Marsh, Robert M. 2000. “Weber’s Misunderstanding of Traditional Chinese Law.” American Journal of Sociology 106(2): 281—302. Merton, Robert K. 1968. “On the History and Systematics of Sociological Theory.” Pp. 1—38 in his Social Theory and Social Structure, enlarged edition. New York: The Free Press. Michelson, Ethan. 2009. “Gender Inequality in the Chinese Legal Profession.” Available online at Social Science Research Network: http://ssrn.com/abstract=1328500. Michelson, Ethan. 2008. “Dear Lawyer Bao: Everyday Problems, Legal Advice, and State Power in China.” Social Problems 55(1): 43—71. Michelson, Ethan. 2007. “Lawyers, Political Embeddedness, and Institutional Continuity in China’s Transition from Socialism.” American Journal of Sociology 113(2): 352—414. Michelson, Ethan. 2006. “The Practice of Law as an Obstacle to Justice: Chinese Lawyers at Work.” Law & Society Review 40(1): 1—38. Peking University. “Law School.” Available online: http://english.pku.edu.cn/Schools_Departments/536.htm. The School of Sociology and Population Studies (SSPS), Renmin University. “Introduction to The Research Institute of the Sociology of Law.” [In Chinese]. Available online: http://ssps.ruc.edu.cn/graduateschool/school_4.html. Weber, Max. (1922) 1980. Wirtschaft und Gesellschaft: Grundriss der Verstehenden Soziologie. Tübingen, Germany: J.C.B. Mohr. Wei-Dong, Ji. 1989. “The Sociology of Law in China: Overview and Trends.” Law and Society Review 23(5): 903—914. XinGhua, Guo. 2008-09. “Why Do We Obey the Law? A Comparative Study of Legal Awareness Among U.S. and Chinese Citizens.” Chinese Sociology and Anthropology 41(2):7—40. See book overview of the Chinese edition.